With psychological insight that rivals Dostoevsky’s great novels, the twenty-one linked narratives in this collection present us with everyday people, with everyday problems — and teach us to love and respect the former, and bear the latter. A young boy from the housing estates comes across a copse of old oaks to which he can escape, as to an oasis of calm. Although he may forget about it once he becomes an adult and “puts aside the things of childhood,” it will remain a locus of balance, decades later, for a single mother struggling with the difficulties of raising the child she loves. A husband, on the lip of an ugly divorce, drives across town in the middle of the night to rescue his wife, abandoned by her lover, and then — as she falls asleep in the car — takes the long way home, to prolong a moment such as he has not experienced in years. An elderly doctor, self-diagnosed with Alzheimer’s disease, makes use of the few precious moments of consciousness granted him each morning to pass on to his grandson what he has learned about life and living responsibly. 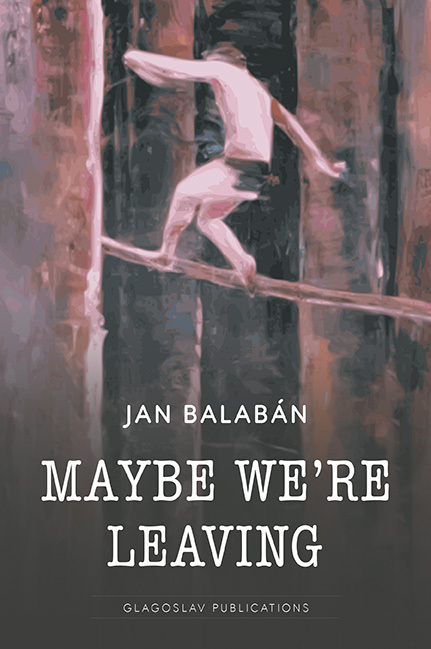 Loss, and permanence, the ephemeral and the eternal, are common themes of Jan Balabán’s collection of short stories Maybe We’re Leaving, presented here in the English translation of Charles S. Kraszewski.